Match.com is not only the most popular dating website on the planet; it’s the granddaddy of them all. This year, it celebrates its 20th anniversary – marking two decades since a little start-up suggested that Cupid’s arrow might strike through a screen. Today, one in five new relationships and one in six marriages are estimated to begin online. The global online dating market is worth at least a billion dollars. Match.com’s piece of this pie is huge. Its users are spread across 40 countries and exchange 415 million emails a year. It has a Google-like track record of gobbling up its competition: it purchased OkCupid in 2011, and also owns Tinder, a wildly popular mobile app founded in 2012. When Match.com launched in April 1995, there were only 25 million internet users worldwide, compared to 2.92 billion in 2015. Having web access at home – like owning a mobile phone - was considered quite exotic. Match.com was a flare from the future. It promised a clever algorithm, which used character traits and interests to pair users with their perfect partner. Within six months, 100,000 people had registered. 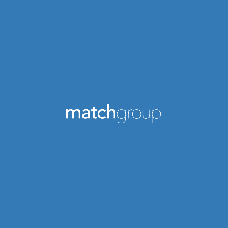 Match.com’s biggest user-group is aged 25-44 (56 per cent of all subscribers), while its fastest-growing demographic is the over-55s. There are marginally more men than women on the site. The most common professions among men are engineers, finance and retail; among women it’s secretaries, doctors and teachers. There are men looking for men, women looking for women, serious daters, those looking for flings and others simply seeking friends. Prospective daters spend hours writing their profiles - and the Match algorithm uses them to find dates for them - but a recent experiment by OkCupid found that the photograph accounts for 90 per cent of what prospective dates think of you. A trawl through the 75 million profiles uploaded to Match.com since its inception reveals a rich tapestry of changing fashions, hobbies and societal trends. Perms, Wham and shell-suits are out; Facebook, selfies and hipster beards are in.